When you are a business owner you may not have the time or want to speak to lots of different energy suppliers just to get a quote for your business gas and business electricity rates. You also don’t want to be harassed with phone calls from suppliers with details of their latest offers. 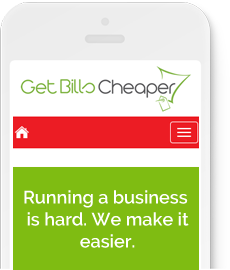 Get Bills Cheaper is here to take the hassle out of this, that why our account management service works so well, there is only one person to deal with at our end and we will do all the hard work for you. It’s simple and easy to compare business gas, electricity, credit card machines, telecoms and broadband prices with getbillscheaper.co.uk.